Porcelain dolls are just so fragile, and it your break them, they'll never be the same pristine figure again. 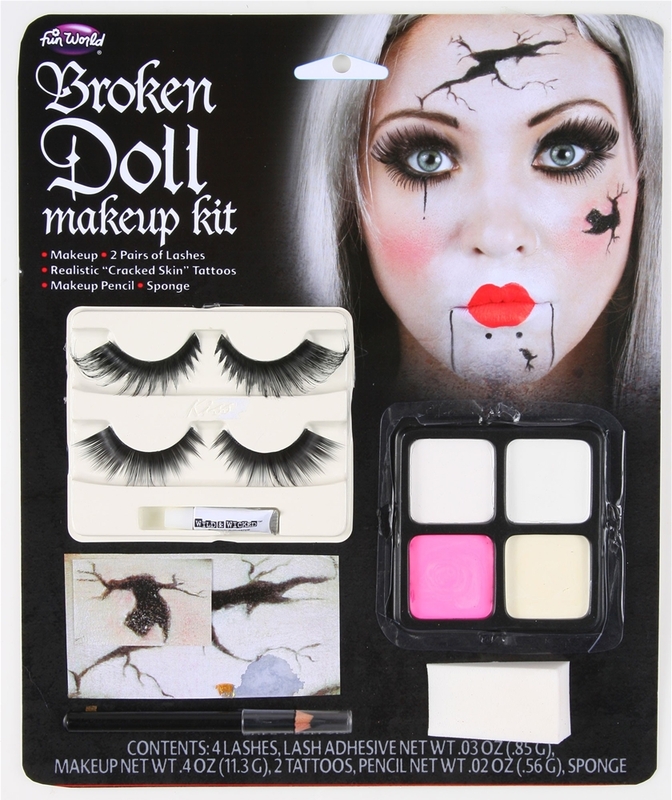 Become a sorrowful soul trapped in a damaged body with the Broken Doll Makeup Kit. This makeup kit includes all which you could need for a broken porcelain face including 2 pairs of eyelashes with accompanying eyelash adhesive, a black makeup stick, a makeup sponge, 2 cracked face tattoos, and a 4 carded makeup tray consisting of 2 white, a very pale beige, and a bright pink. Just like the old nursery rhyme goes, you'll never be put back together again.